Researchers demonstrated a process that prevented an induced autoimmune disease from taking hold in the central nervous system of mice, and think it has the potential of being translated into a multiple sclerosis (MS) therapy. The study detailing the method and its promising results is entitled “Infusion of Sulfosuccinimidyl-4-[N-maleimidomethyl]cyclohexane-1-carboxylate-Conjugated MOG35–55-Coupled Spleen Cells Effectively Prevents and Reverses Experimental Autoimmune Encephalomyelitis in Mice,” and was recently published in the Journal of Immunology Research. MS is a debilitating autoimmune disease in which cells of the immune system attack the central nervous system (CNS), namely myelin, the element that covers and protects nerve cells, and the nerve fibers themselves. A common research approach in investigating MS and exploring therapeutic avenues is inducing an autoimmune disease into rodents, known as an experimental autoimmune encephalomyelitis (EAE) model. EAE results in inflammation, demyelination and axon loss in the CNS of mice, immunopathological characteristics shared with human MS. The research team, led by Dr. Chang-Qing Xia, MD, a research assistant professor in the University of Florida College of Medicine, fused myelin protein fragments with spleen cells and injected this fusion into EAE mice. While this therapeutic approach is not new, Dr. Xia and collaborators altered it by using sulfosuccinimidyl-4-[N-maleimidomethyl]cyclohexane-1-carboxylate (sulfo-SMCC) to bind the autoantigen fragments to the spleen cells. This chemical compound is already approved by the U.S. Food and Drug Administration (FDA) for drug delivery in several clinical research settings, and has advantages over a previous autoantigen-coupling method called EDCI [1-Ethyl-3-(3-dimethylaminopropyl)carbodiimide], being an easier, faster and less toxic process. Those advantages make the process more safe, and more likely to eventually be approved for use in human clinical trials. 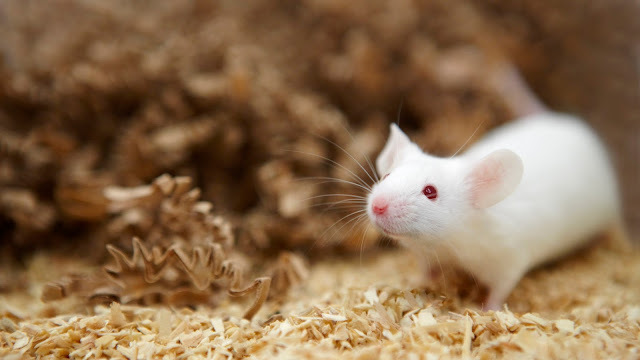 The researchers then waited more than two months before observing that the fused spleen cells prevented the onset of EAE in the mouse model and also “dramatically reversed” the disease in its early stages. This therapeutic effect is attributed to the increased differentiation of T regulatory cells (Tregs) and suppressed proliferation of pathogenic Th17 cells. The reduction of Th17 cells and augmentation of Tregs is an attractive approach for MS management because both MS and EAE have been associated with enhanced self-reactive Th17 and/or impaired Tregs. The imbalance between these two populations of immune cells is believed to result in the CNS attacks. Said Dr. Xia in a press release, “The most important thing is that these findings are highly translatable to the clinic. If it works on EAE, it also should work on MS because the two diseases are similar immunologically and pathologically.” Researchers now hope to bring this approach to human studies.